A NY Special custom hand made knife is always a popular collector item. They are just so sleek and comfortable looking, as a start. Then, add the custom material of your choice to get the piece you have always wanted! 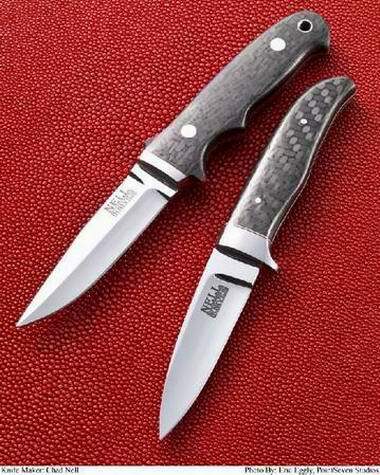 Aside from their obvious beauty, they are a great small knife that can be carried and concealed very easily. 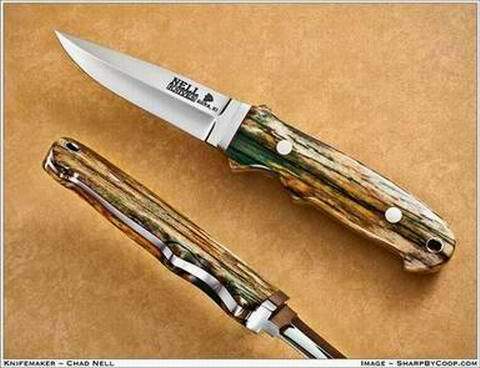 The NY Special will usually be 7 and 3/8" long with a 3 and 3/8" clip point blade! The 4" handles are usually very sleek and custom looking and feeling to add even more value to this type of hand made knives. Part of the design of these is that the blade is usually shorter than the handle itself - great handling ability for the knife user, yet nice, small and compact as well! The knife and handle, inspired by Bob Loveless, will have a finger grip for maximum control. 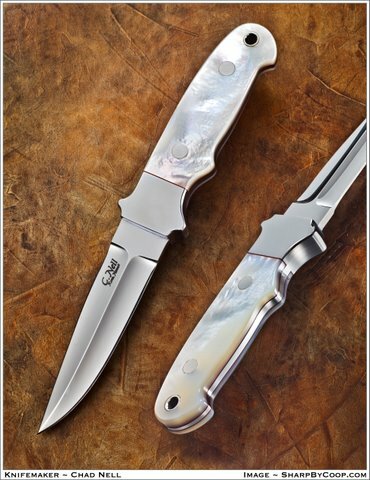 Aside from creating beautiful custom hand made "blades", Chad's craftsmanship applies to the original style of custom handles that he creates for each knife. Many times the handle becomes a higher priority for a knife collector. 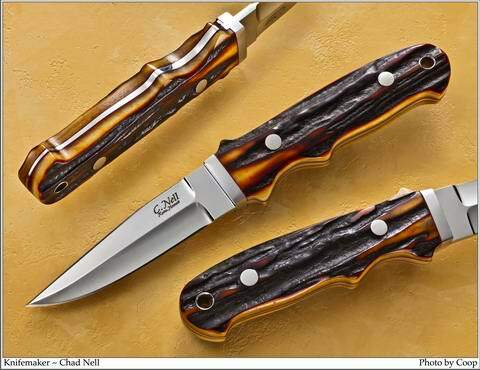 Many collectors already know the style of the blade, now they are looking for that "creative look" that someone like Chad does with his custom knives. Chad's ability to style and create these beautiful custom handles has created a wonderful problem. His knives are in high demand and sell out at each show he attends! Chad can give it that "just right look" and feel. If the beauty doesn't get you, the feel of these knives in your hand will settle it!